I've done a search and come up with nowt for this model really. 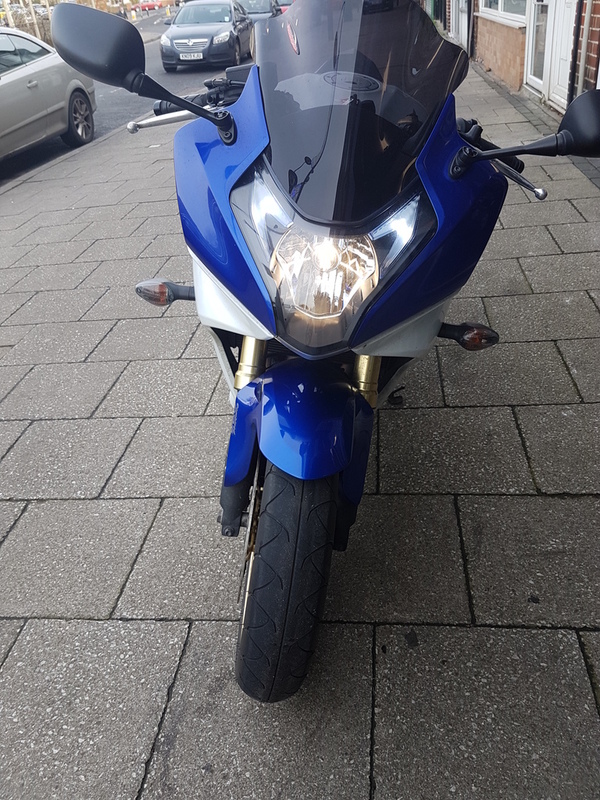 Do you know what headlights are fitted to this bike, I'm getting mixed results - H4 and H7. Seeing as one bulb controls both high and low beams, its not a simple swap. Also is there a guide to replacing the headlight bulbs? Can't seem to find one anywhere online. lastly, has anyone attempted to put HIDs or LEDs as main headlights. 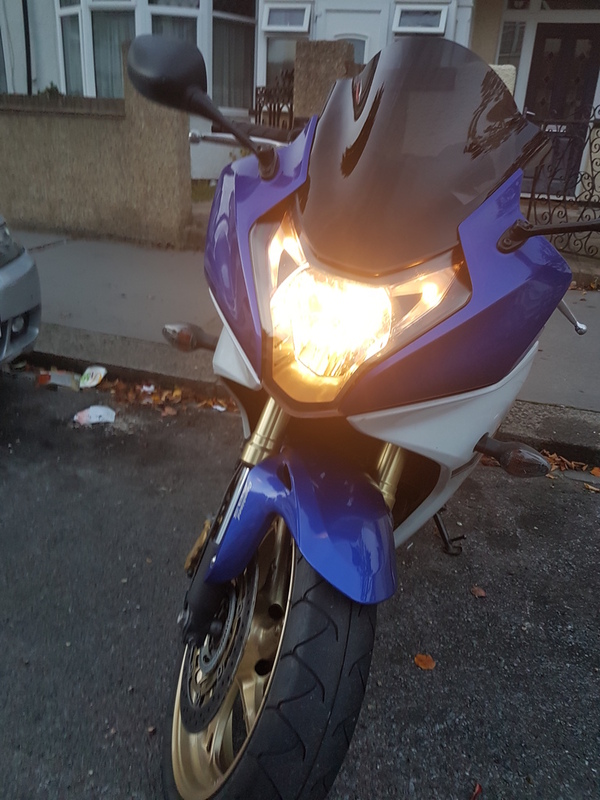 I did this on my old '09 600RR and it worked a treat, but I'm not sure about this one seeing that its one bulb and also have no idea about space behind the stock assembly. If you only have one bulb for both high and low beams, it can't be an H7. As far as LED/HID, I can't offer you any advice. There are some direct replacement bulbs that offer better light than stock out there. Thanks sir. I believe its an H4 I'm looking for as well. I'll research and post findings. Just to update this thread, I've made some mods over the holiday period, especially my lights. below are some pics of the lights changed. The H4 bulb is a phillips Extreme bulb, supposed to be a nice white one, however the LEDs, in comparison, make it seem yellow. I'm going to order some LED h4 bulb and install that and see if it makes a difference. I'll keep you all posted. Did you try the LED head light bulbs? Tried some in my car and although they looked good, they simply scattered the beam and failed to focus the light where its needed. First fo all I would like to say, great forum and community. Hoping to learn and hopefully assist others where I can. Like you I'm also tying to replace bulbs on my Honda CBR600F 2011 and not sure how to go about it. The space behind the headlight is very tricky and I am unable to find any guides. Did you have to remove any fairings? Any pointers/tips you can offer will be very much appreciated? Definitely a good idea to invest in a Haynes Manual. Last edited by CBR600FA; 06-05-2018 at 04:15 AM. All times are GMT -5. The time now is 08:20 AM.